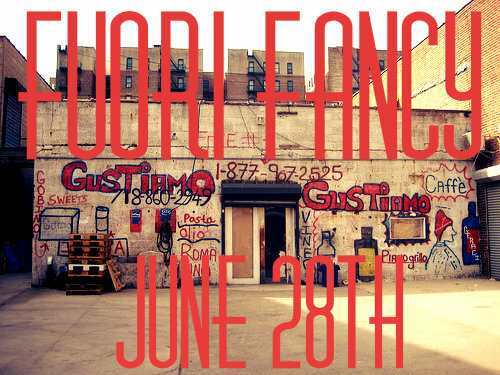 Open Warehouse June 28th, 2014 – Fuori Fancy! Eat: Pizza a Libretto baked in a wood oven in Gustiamo’s courtyard! Yes, we will be at the Fancy Food Show (Booth 5363). This event is Gustiamo’s Fuori Fancy event, on Saturday June 28th, in our new warehouse, same old location, only bigger and more more beautiful! We celebrate our heros, the producers: Paolo, the farmer who grows Real San Marzano Tomatoes in Agro Sarnese Nocerino; Dario, the farmer who grows Piennolo Tomatoes on Mount Vesuvio; Sergio, who makes Pasta Faella in Gragnano; Lorenzo who makes Pianogrillo EVOO in Sicily. They will all be in town and we want you to meet them. Fuori (outside) the Fancy Food Show. Therefore, #FuoriFancy. It’s like having your own private meeting. Like when you go meet the Pope. 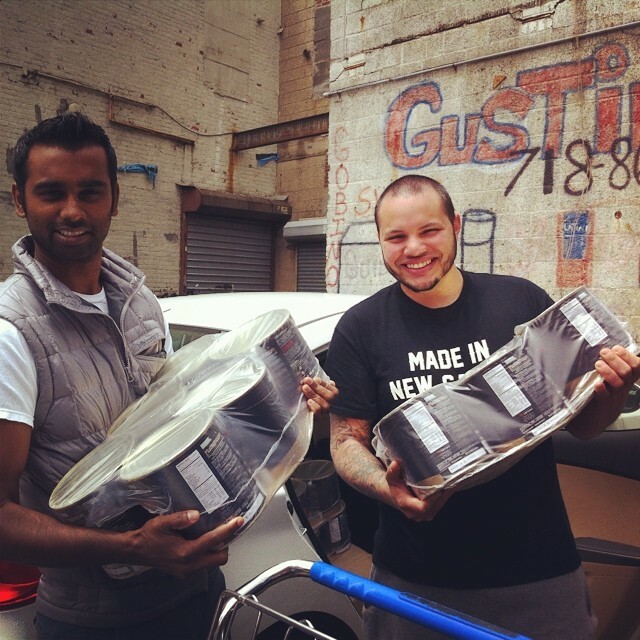 Locali Pizzeria will move their wood oven from New Canaan to Gustiamo’s courtyard. They make some fantastic pizza, in fact they’ve been our customers since they opened. Ruben and Mogan will make three different pizza: San Marzano pizza; Piennolo pizza; Gustiamo (anchovies/olives/capers) pizza. On all, they will drizzle the best EVOO: Pianogrillo! Pizza al Libretto. You don’t know what it means? One more reason to come to Gustiamo’s Open Warehouse #FuoriFancy. Eileen Guastella will make Pianogrillo gelato + San Marzano Sorbet + Piennolo Sorbet. Ever had tomato sorbet? Then, you really must come! Agata & Valentina‘s Eileen is a fabulous pastry chef. In fact she trained for a full year at Corrado Assenza’s Caffe’ Sicilia, in Noto. Eileen says that Corrado is her Master Teacher! Raimondo Ricci, owner of Sant’Eustachio in Roma, also is in town. He will be with us at #FuoriFancy to make and serve coffee. Come, it will be like you are in Roma! Well, almost. Stop the presses: We just learned Ray Bradley will be visiting, also! 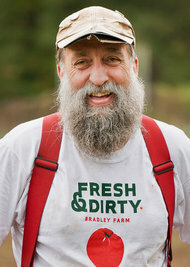 After he is finished with his farmer’s market in Brooklyn. This means that one of the best and most honest farmers in the US meets two of the best and most honest tomato farmers from Italy! I really can’t wait to hear them sharing their experiences of joys and horrors of their work. It’s going to be a lot of fun. Do come. Next saturday at Gustiamo! PS. of course you will be able to BYB and shop. No shipping charges. Previous Post Extra Virgin Olive Oil is being sold at as little as $4.00 a liter in the USA. Is this a joke?